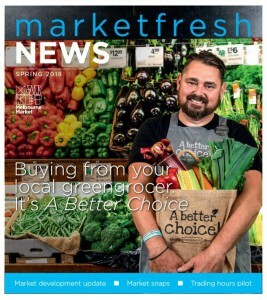 MarketFresh News Spring 2018 edition is out now. Read about A Better Choice program, view our Market map, (which includes details of upcoming developments) plus see some great snaps from around the Market and much more. Pick up a copy from the Customer Service Centre, Market cafes or ask a Market Relations Officer. You can also download an electronic version of the magazine by clicking here.